Guest card for free local bus travel and discounts on the cable cars, museums and other local attractions. In the heart of Bavaria, among the foothills of the Alps, your base for this self-guided walking week is the quaint and 'chocolate box' village of Oberammergau. Known for its world-famous Passion Plays, performed every ten years, it is impossibly picturesque; its houses are decorated with elaborate paintings known as Luftmalerei and prettily carved wooden balconies overflow with geraniums. Here, the locals embrace their rich history, where traditional Bavarian dress is often worn in recognition of their heritage and the custom of Kaffee und Kuchen (coffee and a generously sized portion of cake) is still an afternoon ritual. The village is also an absolute Mecca for the walking enthusiast. From exhilarating mountain hikes with amazing views all the way to the Zugspitze, Germany's highest mountain, to relaxed strolls through lush green valleys and wetland nature reserves, Oberammergau's wealth of well-signed paths and easy-to-follow trails make it a great choice for wonderfully varied walking. We provide a choice of both level 1 and level 2 walks for all days, using the highly efficient local public transport system so you can explore further afield - all guests receive a Guest Card that gives free transport on certain local buses. You also have the mountain lifts to take the sting out of more challenging ascents. You stay as guests of Sabine Feldmeier and her family at the traditional *** Hotel Feldmeier, less than 5 minutes' walk from the village centre. The 31 rooms all offer high comfort levels and Headwater rooms also come with private balcony or terrace, as well as views onto the surrounding Laber and Kofel mountains. You also have a Roman steam bath, sauna, jacuzzis and beauty room at your disposal (payable locally). Less than a mile from the hotel is the WellenBerg leisure complex offering indoor and outdoor swimming - ideal if you fancy a day off from walking. The itinerary is based on level 2 walks. Easier level 1 notes are also provided for your week. All the walks follow well-signed paths, which are, at times, stony underfoot. 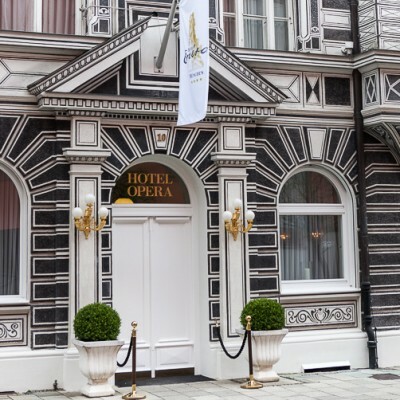 Arrive at your hotel in Oberammergau. A perfect introduction to your walking week starts with a short (15 mins) ride on the little red train to Bad Kohlgrub. From here, you walk through the rolling Ammer Valley's string of sleepy farming villages - Unterammergau, in particular, has a splendid Rococo church. Then head across the Pulvermoos, a wildlife sanctuary and habitat for 60 bird species including corncrake, dipper, whinchat and even snipe. Start with a cable car ride to the top of the Laber (1685m) for panoramic views of Germany's highest mountain - the Zugspitze (2962m) - and the Austrian Alps beyond. You then wind your way down through cool pine forests to the village of Ettal. After lunch, visit the amazing C14 former Benedictine monastery, an outstanding example of Bavarian Baroque architecture. Return on an easy path along the pretty valley, passing the Barenhohle cave where there's a figure of the resurrected Christ. Staffelsee is one of the larger of the many picturesque blue lakes dotted around this part of Bavaria. This beautiful stretch of water offers easy walking along the shoreline with plenty of swimming opportunities. Stop off in the attractive riverside village of Uffing (the boat landing station is the place for lunch and offers magnificent views of the lake backed by mountains). In the afternoon, either relax in the sun on the panorama deck of the little lake cruiser (payable locally), passing hidden coves and the lake's seven islands (one even has its own tiny chapel), or return on foot along the quiet side of the lake. A day off from walking today. Maybe take the local bus to Mad King Ludwig's fairytale castle of Neuschwanstein with its stunning setting on a rocky outcrop; or take the funicular to the top of Germany's highest mountain, the Zugspitze, to discover a breathtaking 360 degree panorama of endless peaks spanning Austria, Switzerland, Italy and Germany. If you prefer to stay closer to home, spend the afternoon by the WellenBerg outdoor pool (swimming, sauna, jacuzzi). The Kolben chairlift whisks you up to 1270m, from where there's a choice of routes up to the spectacular Sonnenberg ridge. Your route down passes a succession of crashing waterfalls and the reconstructed C19 whetstone mill at Schleifmuhle, followed by a pretty path through the meadows. An unmissable visit to Schloss Linderhof, the gloriously over-the-top Rococo palace built by Mad King Ludwig in 1878, inspired by Louis XIV's chateau in Versailles. There are gorgeous French and Italianate terraced gardens and a golden fountain which erupts once every hour with a 30m plume of water. Return to the hotel along a tranquil path which winds back down the Linder Valley, through the village of Graswang with its beautifully preserved old farmhouses and pretty C17 frescoed church. The Landhaus Feldmeier is a family run hotel located within a 5 minute walk of the town centre. It is a traditional Bavarian style building, with white washed walls and beautifully carved wooden balconies bedecked with flowers. The rooms are all of a good size and en-suite and most rooms have balconies. The hotel also boasts a Roman steam bath, sauna and jacuzzi. In addition, there is a beauty salon that offers a wide range of treatments including massages. There is a small garden at the hotel with some chairs and loungers for relaxing outside. Room upgrades: Deluxe Room or Suite. Deluxe rooms are larger and in an apartment style. Transfers included from Munich airport at 15:35, and back to Munich airport at 12:45. An excellent location and a friendly family run hotel. The food was varied and interesting and the staff were helpful. The walking routes were well thought out and instructions were pretty good (we had one minor issue but were quickly back on the right track). The only thing to watch is that a number of days start with a rail , bus or chairlift journey so you need to have done your planning the day before to make sure you get to the right place at the right time. There were always different levels of walk on offer in the same location so would suit a group of mixed ability. The Hotel was lovely and clean, but as others have mentioned, on a main road with people walking past at night - not a problem unless the windows need to be open (no A/C). The food was really lovely traditional Bavarian food and the staff were friendly. One point worth noting - they may ask if you want your water with gas (not "ice" or "a glass" as I first thought). Turns out that means sparkling (obviously)! The route notes were almost completely flawless - just one bit of confusion in Saulgrub, but otherwise perfect. The walks were stunning and very well planned and the details of train times and costs were helpful too (although we managed to get some money off one train ticket by buying a "hopper" ticket instead of a return to Murnau). Overall a lovely experience, a good chance to practice my German (they seemed really pleased when I tried!) and a unique place to visit with lovely clear streams, cow bells echoing around valleys, mountains, waterfalls, quaint buildings and good food. Also, Herbert the taxi driver who picked us up from the airport was incredibly helpful and informative, and happened to have relatives in our home town of Malvern! Excellent location for walking and visiting the famous castles of Southern Bavaria. Southern Bavaria end of June beginning of July was spectacular - beautiful scenery, forests, mountains, flower meadows with lots of bees, butterflies, lovely area of a bygone way of living in the UK so lovely to see its still out there, beautifully painted houses and good walking with the services of rail and bus. The area is really beautiful and we were blessed with hot and sunny weather for the whole week. The hotel room was superb - one of the best we've had with Headwater - very spacious and well-appointed with a balcony and views of the surrounding mountains. Hotel staff were friendly and helpful and the food was tasty with lots of choice at the breakfast buffet and a choice of main meal in the evening. It's helpful if you can speak a bit of German but not necessary. One of the hotel staff came to translate the evening menu for us each day and she was delightful! The walking was ideal for us and not too demanding. We stuck to the one-boot walks as I had a leg injury. There was plenty of variety within the walks and the transport options were efficient and well-timed. We loved the cable car and especially the chair lift ride! There was a lot of choice given in the walks options which we really liked. The area is lively with lots to do from a lovely big swimming pool complex in Oberammergau itself to visits to Schloss Linderhof and beyond. We could have stayed longer as we didn't manage to do everything we wanted. Oberammergau is quite a busy place with a relatively busy road through it (and past the hotel) so would not really suit those wanting a very quiet, get-away-from-it-all kind of holiday but it suited us perfectly. We did the lake walk on a Bavarian holiday (Assumption Day) which was an error on our part as it was absolutely teeming with people especially as the day was a really hot one - in parts it was overwhelming. I'm sure on a normal day this walk would be much quieter. Overall we had a totally stress-free holiday where we had everything we needed for a completely relaxing week. I can't think of anything that would have improved it for us. We didn't want to come home! A relaxing holiday walking in beautiful Alpine valleys and meadows, with several of 'Mad' Ludwig's palaces and castles within easy reach. Bavaria is a wonderful destination, the walking is excellent. Oberammergau and the nearby villages are a delight, in June the meadows are a joy to behold. My limited German was a help as in some restaurants and bars, there was limited English, and even then the local accent was tricky, (but Apfel strudel is good in any language). We found the Bavarian countryside quite fascinating. Everything was good, the scenery, the walks, the accommodation and food. We also met interesting people who were also on the holiday as we usually do. Earlier this month we had a twenty year re-union with four friends we met on one of your holidays in Corsica. Oberammergau is a wonderful base for varying levels of walk. The town is beautiful, picturesque and immaculate. the whole area is worth visiting. The trains and buses are excellent and efficient. Unfortunately we did not feel welcome at the Hotel Feldmeier. On arrival Frau Feldmeier was brusque and uninformative. I was a German teacher and had no difficulty at all with the language but she made no effort to communicate. I had to ask for a change of room as our original room was directly onto the main road and was extremely noisy at night. Our second room was tiny. The safe was broken and when I pointed this out she was quite indifferent. She asked us to pay our bill the evening before we left which we were quite happy to do but when my partner tried to pay she looked at him and said 'Ten minutes' and then turned away and spoke to someone else. Throughout the holiday she was at best brusque and at worst downright rude. I would like to add, however that her sister and the rest of the staff were helpful and friendly but I could not recommend this hotel to anyone. Excellent walking in lovely surroundings. Good accommodation. The hotel is lovely, with great staff. The service was brilliant. Landhaus Feldmeier exceeded expectations- an excellent room with plenty of seating and a balcony. Veggie food better than expected. Excellent and varied walking with options increased by good local public transport (rail and bus). A longish and not especially pleasant taxi ride to/ from Munich (no criticism of drivers). Hotel Opera was rather odd. Service was excellent - there seemed to be almost as many staff as guests. However, the room was rather weird and a bit shabby/ dirty (e.g. stained bright mustard carpet and grubby bed trim) and I found the hotel a bit pretentious. The location was excellent though with easy access to the city centre and the English Gardens. We (3, 60 something adults) had a good walking holiday in the Oberammagau area. The walks were varied, well graded and easy to modify as one cared to, and dependent on weather. Also plenty of other places to visit and experience. For eg, we chose one day to go to Zugspitz using the local bus, cog train and cable car and then walk around the Eibsee, about 7km, with spectacular views. An excellent add on. Accommodation at Landhaus Feldmeier was ok. We had upgraded to a deluxe room out the back which was great. Food generally good, certainly plenty of it, but we would have liked side vegetables/salad with the main courses. Some confusion in arrangements: no car to pick us up from Munich airport, and no record at hotel of our upgrading to comfort room: both issues sorted very promptly by Headwater / manager. Gift bottle of good red appreciated. Highest level of excitement was on our way to Oberammagau: 160km/hr in our replacement taxi, a Toyota Prius, with driver fiddling with his phone Sat Nav. An excellent holiday. Lovely sunshine and masses of flowers in the meadows made it especially beautiful. The walks were very varied and there were some interesting places to visit en route and on any non walking day(s). A very good centre. Helpful Headwater staff who made planning and booking our holiday easy. Oberammergau is a wonderful location, Hotel Feldmeier was excellent with friendly, helpful staff. As well as the fantastic scenery and walks there is plenty to see and do in the town. Free bus pass made it easy to get to nearby towns. Also good rail connections from the local station. A lovely relaxing holiday in a great location and fantastic walking opportunities. A really lovely holiday: excellent walking, and a chance to enjoy the special culture of the area. A great holiday with fantastic walk suggestions that we used in conjunction with the map to explore the area. Very enjoyable walking in spectacular countryside, along well signed and maintained paths, guided by excellent route notes. A great holiday with varied walking options available, Village had great atmosphere and opportunities for shopping and sightseeing away from just walking. We extended our trip with 3 nights in Munich at the hotel recommended by Headwater which was a super place and gave us chance for a bit of culture and city life after the scenery! Very good worth doing, may do it again, great food and beer, watch out for the mountains they are not the same as the hills in Kent. We were very happy with the holiday from the headwater point of view. Accomodation i would not be happy with.Compared to other places we visited in the area the level of english spoken in this hotel was very poor,even when we asked what something was on the menu ,the waitress didnt understand us .Thank you for the bottle of wine which we appreciated very much.the walking was superb and the guides provided for the walking were very good. Beautiful country and people were very friendly and most helpful. Walking in Bavaria in June was just amazing. The wild flowers were beautiful to see in the meadows. Oberammergau is ideally situated with easy rail and bus access to the wider area. Fabulous holiday in great location. Walking was delightful. Accommodation was brilliant - only downside was the food where there was little if any choice and it was not to our taste. Perfect walking area, perfect location of very good hotel - excellent local transport and very varied mix and combination of sightseeing and walking possible. Even had perfect weather - brilliant! Oberammergau is an excellent place to visit for walking and historical sites, the whole area is beautiful (think the sound of music) we really enjoyed the whole time we were there. Good. But the food was uninspired, with too much use of factory-made sauces. The deserts were dull - ice-cream almost every evening. No fruit available at breakfast and the yoghurt was definitely 'off' on one day. Staff nice but their English very limited - it is incorrect to say that the family speak the language. Bavaria is very nice and very green because it rains a lot! Apart from that we had a good time, but Oberammergau is a bit isolated and it's best to take your car if you can, although local transport is very good. The 'superior' accommodation really was very good indeed. The local tax a bit of a surprise at the end of the week - if it is mentioned, then you should emphasise it more. The walks and interest are excellent, and the notes worked well, because the paths, signposts and surfaces are so good. We have usually gone to Italy or France with you - and German food is a bit of a shock, in its solidity and calorie count. This was our first holiday with Headwater as we normally organise our holidays ourselves. We will definitely consider another Headwater holiday in the future, as the local knowledge was invaluable, the walks just great (and appropriate for our level), and the hotel was excellent (the request for vegetarian food didn't seem to have reached the hotel but it wasn't a problem, and the chef made up delicious veggie dishes specially each day). We found that the premium that Headwater provides over self-organised holidays is well worth the extra cost: it saved us substantial planning time and made logistics easy, so that we could focus on the more important business of enjoying a great walking holiday. Thank you! Excellent holiday. Covered everything, good walking at your own level and pace, good food in the area, and a good few places of interest on your doorstep to mix with your walking or do on their own. Easy to use local transport, train, bus and ski lift - even if your German is very limited. A reasonably energetic yet wonderfully relaxed walking holiday. Very quiet comfortable and clean family run hotel in good location. Convenient for public transport and ice creams after a day's walking. A very good selection of walks, suitable for all abilties. We just needed longer to complete them all! Friendly and welcoming hotel, with good food and enjoyable and varied walks. Everything went smoothly with travel arrangements on outward and inward journeys.. Standard of food was exceptional for *** hotel. Would have appreciated a kettle in bedroom to make tea/coffee and fill hot water bottle. Very enjoyable holiday. Maps and information all very helpful and accurate. Our holiday was well organised and the hotel was comfortable and friendly. The walks were well chosen and the self-guiding notes were informative and easy to follow. The only slightly disappointing aspect as the weather; it rained on most days, so I would advise potential travellers to be prepared for wet weather - especially early in the season. Oberammergau is a lovely location from which to base a walking holiday. We were fortunate to have sunshine nearly all week (21-28 Sept), and made the most it by doing many of the walks provided in the Headwater literature. The most exhilarating being Sonnenberg Ridge linked to The Kofel - quite possible in a single day, although the advice in the walking notes regarding narrow ledges and cables need to be carefully considered. The local buses, trains and chair lift are all easily accessed and efficient. The hotel owner gave us a discount card for use with the buses and lifts. The food was cooked to perfection, but not very inspirational. The holiday was everything that we hoped it would be. to cycle race so had to walk to start of walk well worth it.High over the Hornle was also a good walk with fantastic views. Good food all week for the humble vegetarian. Staff at the hotel were very helpful and friendly. Oberammergau was an ideal location for our walking holiday, every day we walked somewhere different which made it interesting. The public transport was easy to use, particularly the train and the walk from the hotel to the train station was a reasonable difference. The 4 course evening meal at the hotel was very good value and extremely tasty. Saturdays from 25th May 2019 to 21st Sep 2019, for 7 nights. All dates are subject to availability, please contact us to check. You should allow approx 45 euro per person for the use of local trains/buses and ski lifts for the walks. Before June some mountain restaurants and ski lifts are open only at weekends. Please note that airport transfers are subject to at least 2 people (in total) booked on each departure. Due to the tailor-made nature of our holidays, we need a little more information in order for us to check availability for Walking in Southern Bavaria. Simply complete the form below and a member of our sales team will contact you (when it's most convenient for you) to provide availability information, travel options and an accurate price. Of course there's no obligation, but if you do wish to proceed with a booking they will be on-hand to assist you throughout the process.